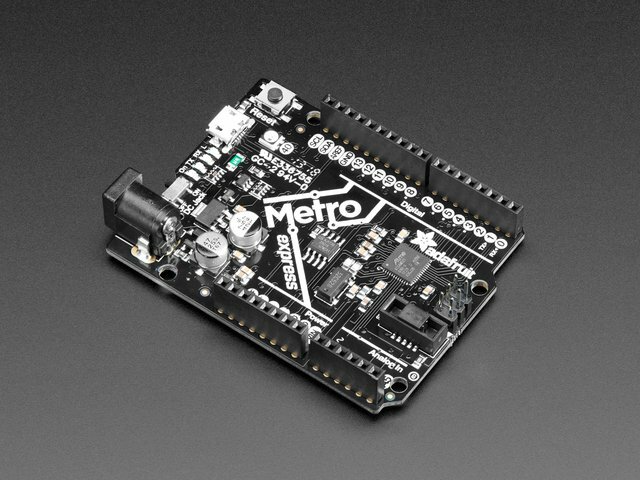 The Metro M0 is chock-full of microcontroller goodness. There's also a lot of pins and ports. We'll take you a tour of them now! There's a lot of ways to power the Metro M0 Express, and a lot of ways to get power out as well. The MicroUSB jack provides 5V at 500mA or so, there is a fuse that will shut off temporarily when more than 1000mA is drawn, this is to protect a computer USB port. You can plug this into any computer or USB charger with a USB cable. You can draw up to 500mA between the Vin, 5V and 3.3V supplies (combined). 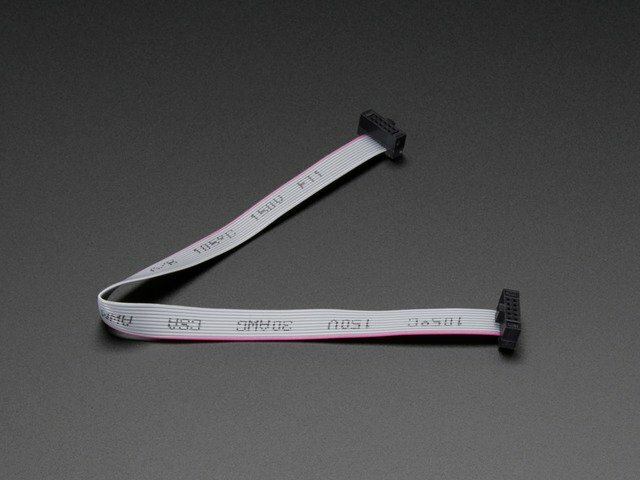 The DC Jack is a 5.5mm/2.1mm center-positive DC connector, which is the most common available. Provide about 6V-12V here to power the Metro. There is no fuse on this connection so you can draw more current, up to 800mA between the 5V and 3.3V supplies, and 2A from Vin. Vin - this is the higher of the DC jack or USB voltage. So if the DC jack is plugged in and 9V, Vin is 9V. If only USB connected, this will be 5V. #2 through #12 - These are general purpose GPIO. If there's a dot next to the pad it can act as a PWM output. The NeoPixel is connected to pin #40 in Arduino, so just use our NeoPixel library and set it up as a single-LED strand on pin 40. In CircuitPython, the NeoPixel is board.NEOPIXEL and the library for it is here and in the bundle. The NeoPixel is powered by the 3.3V power supply but that hasn't shown to make a big difference in brightness or color. The NeoPixel is also used by the bootloader to let you know if the device has enumerated correctly (green) or USB failure (red). 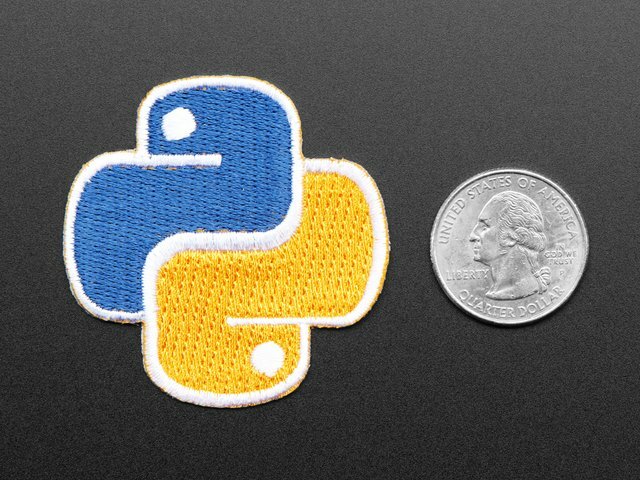 In CircuitPython, the LED is used to indicate the runtime status. 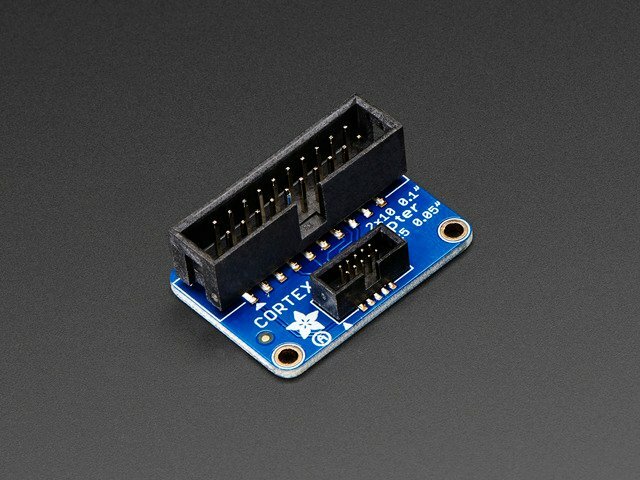 The SPI Flash is connected to 4 pins that are not brought out on the GPIO pads. This way you don't have to worry about the SPI flash colliding with other devices on the main SPI connection. Under Arduino, the FLASH SCK pin is #38, MISO is #36, MOSI is #37, and CS is #39. If you use Metro M0 Express as your board type, you'll be able to access the Flash SPI port under SPI1 - this is a fully new hardware SPI device separate from the GPIO pins on the outside edge of the Feather. In CircuitPython, the SPI flash is used natively by the interpretter and is read-only to user code, instead the Flash just shows up as the writeable disk drive! IORef - the digital reference voltage pin. This reference voltage is the same as the chip logic voltage (3.3V) and cannot be changed. If you'd like to do more advanced development, trace-debugging, or not use the bootloader, we have the SWD interface exposed. You can use any 2x5 0.05" pitch SWD interface to connect. 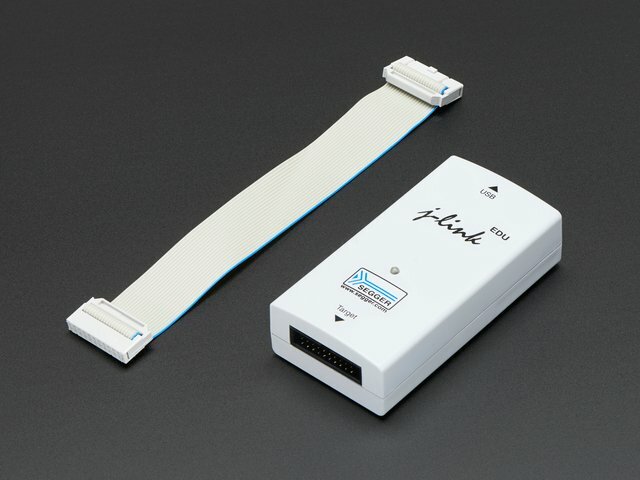 We suggest a J-Link. Since the SWCLK pin is shared between the NeoPixel, and the bootloader takes control of the pin, you need to reset the board right before beginning debug. OpenOCD and some other debug interfaces may not be able to do this. 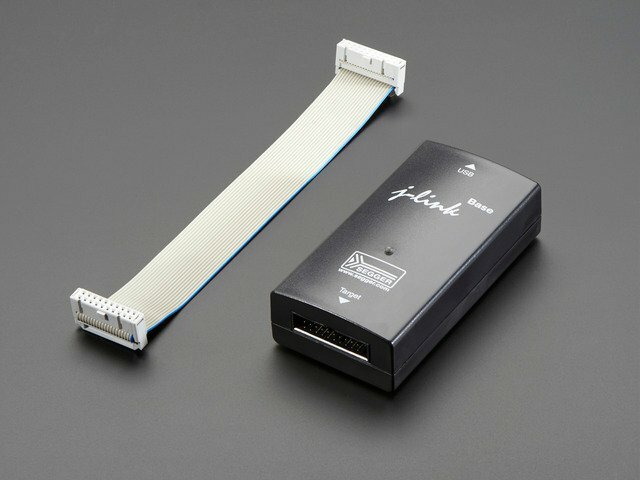 That's why we really really suggest a JLink! This guide was first published on May 03, 2017. It was last updated on May 03, 2017. This page (Pinouts) was last updated on Apr 25, 2019.